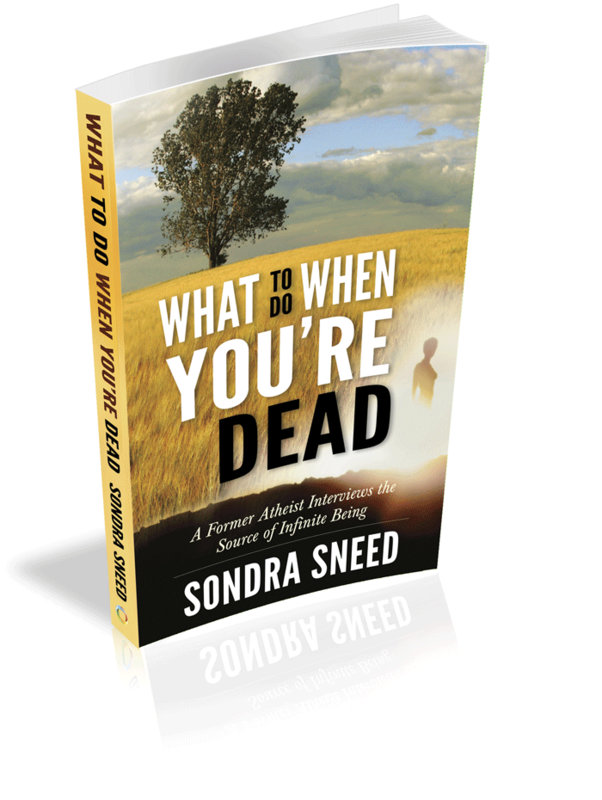 For writer Sondra Sneed, the loss of a job and the man she loved altered her life profoundly. As she struggled to cope with the looming emptiness by writing—pouring into notebook after notebook all that she was feeling—another voice came though. A door had opened for her to communicate with and learn from God. In that moment, her atheism dropped away with the certainty that she was communicating with the source of infinite being. She spent a year in solitude exploring this remarkable conversation and now shares what she’s learned while on tour, and in her book, What to Do When You’re Dead; A Former Atheist Interviews the Source of Infinite Being. The book’s gripping dialogue is instructive, loving, admonishing sometimes, humorous, and very real. It becomes our own conversation as the author seeks to clarify, asks the questions we would ask, and struggles to understand. 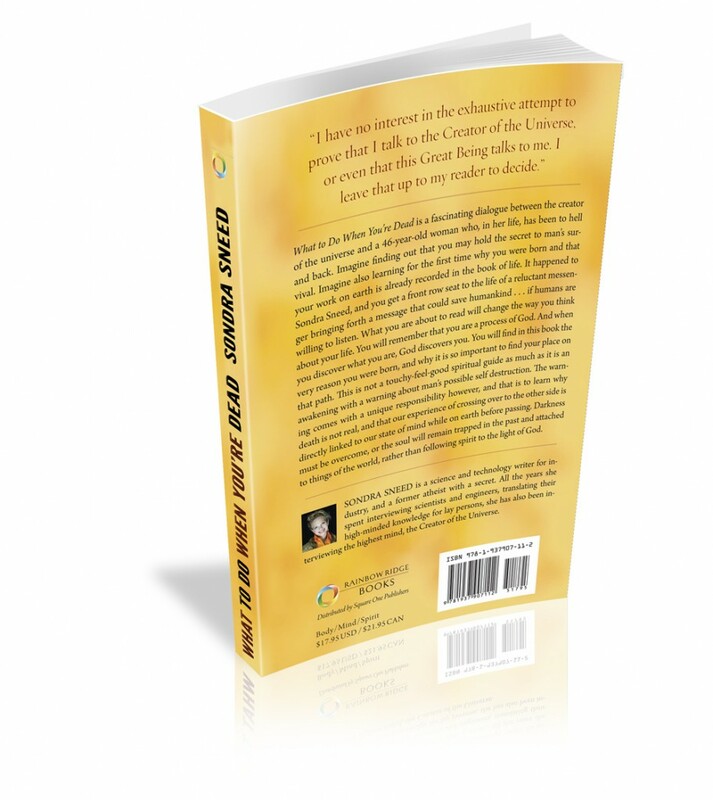 The dialogue covers such topics as abundance, addiction and self‐sabotage, the nature of DNA, the nature of the soul and why it exists, the Earth’s core, God’s description of the soul, and so much more. There is so much here to guide the reader. What to Do When You’re Dead invites us to read, re‐read, study, and live with the amazing words that God offers. Through this book, we begin to understand to a much greater degree the world and our place in it, what God sees for us—both the opportunities and the pitfalls—and what we need to do to right our path. What to Do When You’re Dead is an invitation to discover in today’s language and today’s world what the creator of the universe hopes for us and wants us to know. It’s a modern, in‐depth resource for those who seek the deeper meaning of life. AUTHOR BIO: Sondra Sneed is a former science and technology writer for industry and corporate photographer for Fortune 100 clients. Since 2014, when she committed to her new career as an author and speaker, she has performed over 1,400 soul readings for clients around the world and presented 40 unique “Source Talks” for amazed audiences around the country while on tour. Source Talks – which include such titles as “Tyrants of the Mind”, “The Nature of True Love in 3 Parts”, and “The Word that Signaled Time” – are sessions “drawn up through” Sondra’s physicality to allow the wind of Source intelligence to speak through her. She is the author of What to Do When You’re Dead: A Former Atheist Interviews the Source of Infinite Being and is working on her next book collaboration with God, Love’s Highway; Where Will it Take You When You Can’t Get there Alone?.